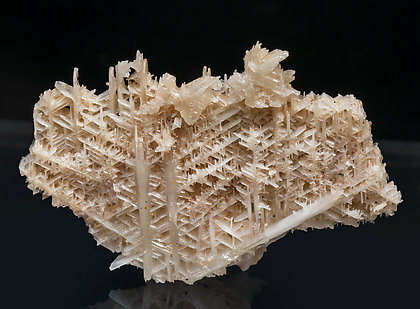 Aggregate on a limonite matrix of white acicular Cerussite crystals with a silky luster and fibrous aspect resembling the so-called “jackstraw” variety. It is from a locality where samples of such quality are very scarce. 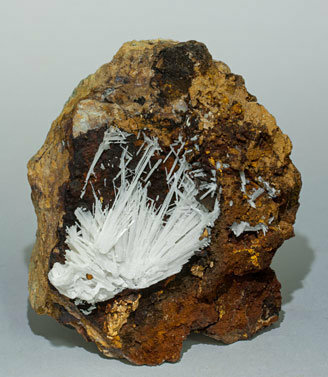 Parallel aggregates of Cerussite crystals with a fibrous aspect, a white color and small black Goethite coatings. Good quality for the locality. 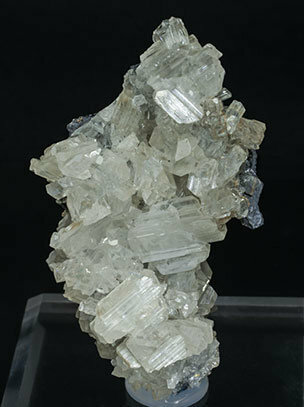 Very aerial reticulated growth of very flattened Cerussite crystals, twinned and with a white color. We specially note that the aggregate is on matrix, something rarely seen in samples from this locality. 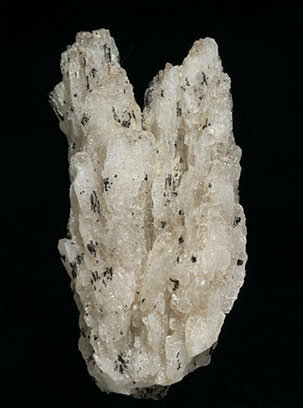 Aggregate of white Cerussite crystals with a silky luster and a fibrous appearance (“jackstraw”). Besides that the quality of the sample is excellent, We also note that, in this locality, good samples for collectors are very scarce. 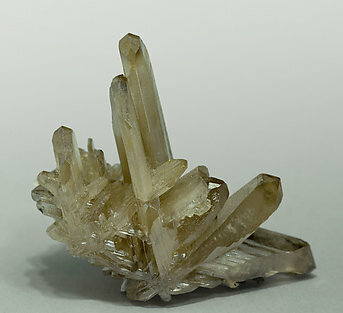 Group of translucent crystals with very elongated prisms and dipyramidal terminations with the cyclic twin. The shape is different and better defined than usual for samples from the locality. Two fanlike aggregates that are translucent and very bright with flat and smooth surfaces, phantom growths and transparent and bright terminal faces with very well defined edges. Very unusual and fine for the locality. 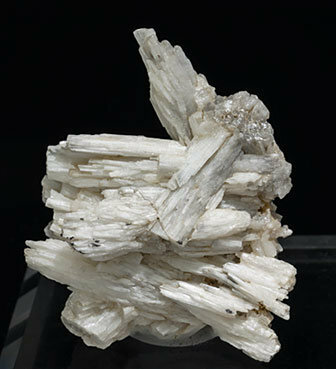 An aesthetic cluster of white Cerussite crystals with a silky luster. It is from a locality where samples of such quality are very scarce. 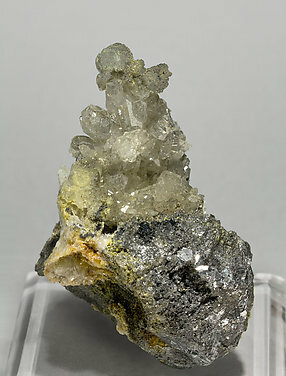 Aggregate of cyclic twins with very sharp tabular Cerussite crystals that are transparent, very bright and on a Galena matrix. 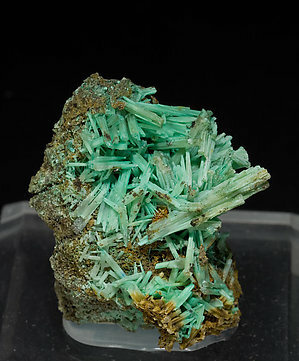 Very aerial aggregate of flattened crystals with a very well defined twin. Their white color contrasts with the brown of the oxide inclusions. The sample is from a classic French locality and has great quality. 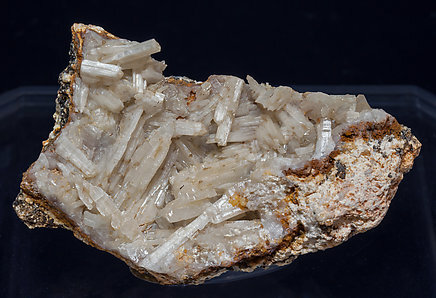 Group of extraordinarily sharp Cerussite crystals on matrix. They are flattened, twinned, colorless, transparent and very bright. Just perfect. 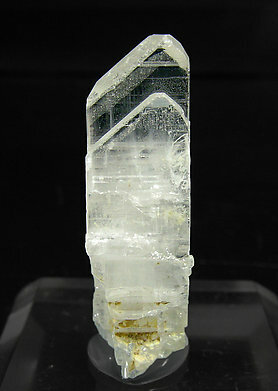 Group of translucent crystals with very elongated prisms and dipyramidal terminations forming a scepter, and with cyclic twins. The shape is different and better defined than usual for samples from the locality. The sample is from the Ignacio Gaspar Sintes collection (reg. CER-36) whose card we’ll send to the buyer. 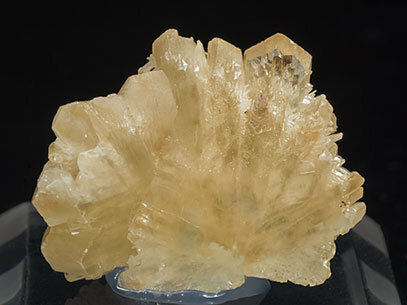 Sharp twinned crystals with very well defined crystal form, transparent and of excellent luster. We especially note the locality, now abandoned, that produced good but scarce specimens of this species. 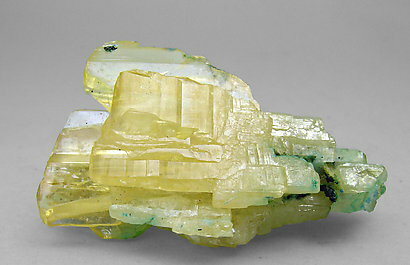 Flattened Cerussite crystals with an intense yellow color and green inclusions of Pyromorphite. Due to its color we had doubts if it was Cerussite. Another sample from the same pocket has been analyzed and we will send a copy of the analysis to the buyer. 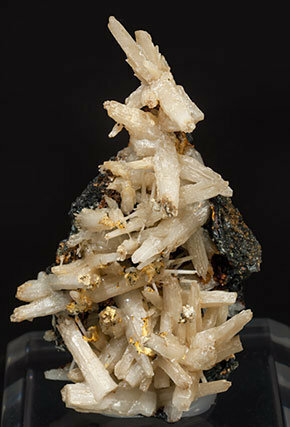 Very aerial spray of so- called "jackstraw" aggregates of acicular Cerussite crystals. 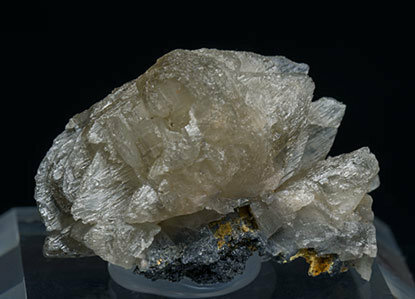 They have a velvety luster and snowy white color that strongly contrasts against the dark limonite matrix. The locality is a classic among classics. 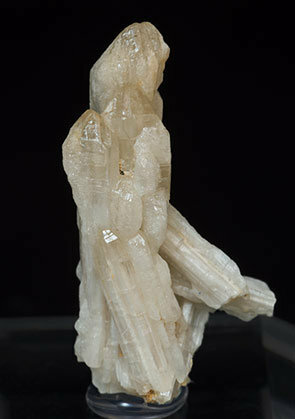 The Cerussite forms groups of acicular crystals, so called "jackstraws", white and with glazing luster. 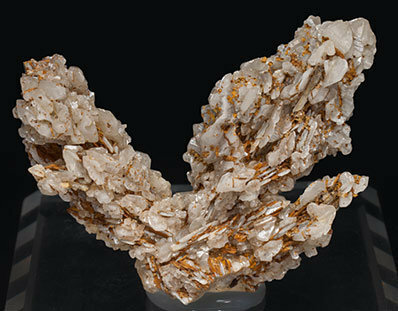 Aggregate of white acicular, very thin, elongated Cerussite crystals with good contrast with the brownish-yellowish limonite matrix. As in so many specimens in this collection, the sample is of great quality for the locality. 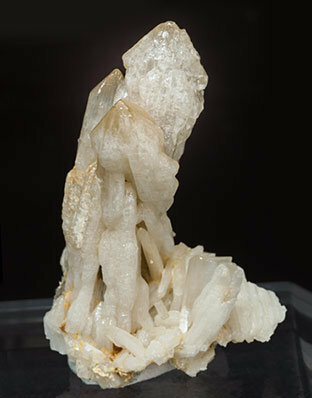 Multiple, reticulated Cerussite twin with flattened crystals that have very well defined faces and edges. 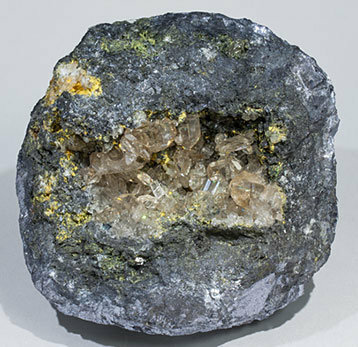 The sample is from a single find in June 2012, from a mine where Cerussite was not previously known and in a single pocket where only about twenty samples were extracted. 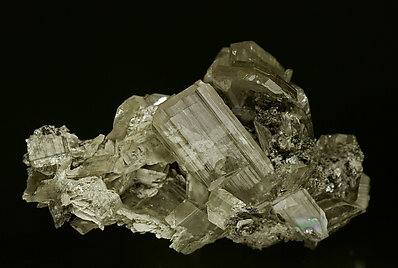 Slightly flattened crystals on a Galena matrix. They are very bright and between transparent and translucent, being some of them doubly terminated. 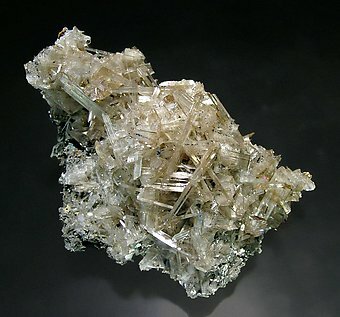 Group of twinned crystals of Cerussite that are very flattened, with perfect, acute, terminations, between transparent and translucent, bright and with a slightly smoky color. A fine miniature from Touissit. 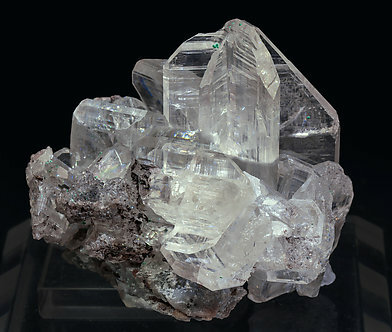 Group of fine prismatic crystals on matrix, some of them doubly terminated, and they all are completely transparent and extraordinarily bright. 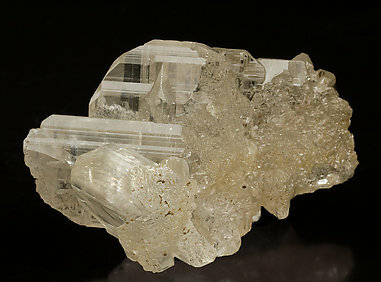 Very aerial group of transparent crystals of Cerussite with an extraordinary luster and on Galena matrix. The sample is from James Catmur’s collection, whose label we’ll send to the buyer. 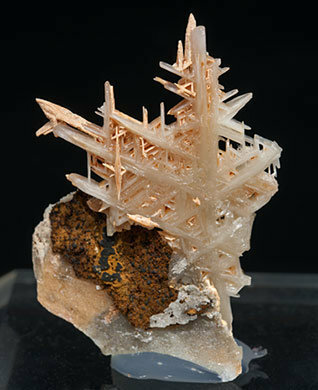 Twinned, sharp, pale brown, transparent and extraordinarily bright Cerussite crystals that fill a vug on a massive Galena matrix. A fine group, on matrix, of “Jackstraw” type crystals, colored by an unidentified and not analyzed salt of copper. The sample is with a label from Bentley’s Minerals that we’ll send to the buyer. 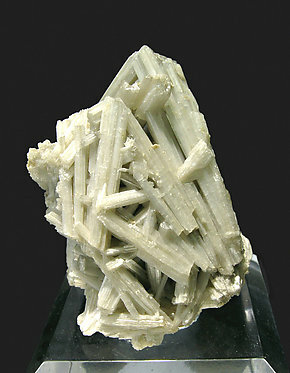 Lattice aggregate of twinned tabular shaped crystals. 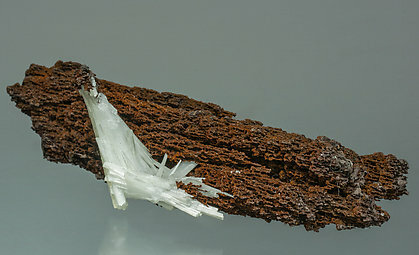 They are colorless, very bright and transparent, and their morphology, uncommon for Touissit Cerussite, is similar to that of Tsumeb.